Many of the predators featured in BBC’s “The Hunt” are seen in abundance in this area. You should see lion, leopard and cheetah, and may see wild dog and caracal which are tough, but not impossible alongside the right guide. As well as these predators there will be other wildlife including the rest of the famous Big 5: elephant, buffalo and rhino (lion and leopard are the first two). 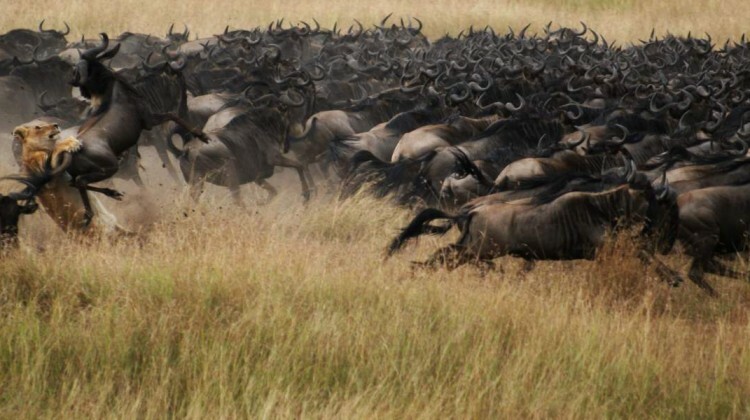 The Serengeti is home to the wildebeest migration, which ensures incredible animal interaction. 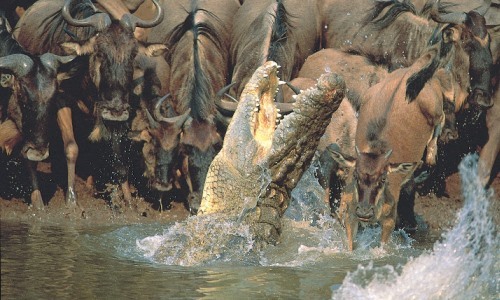 This is especially true if your holiday is between June and October, when up to a million wildebeest and zebra are crossing the Mara River running the gauntlet of crocodiles and taking their chances against the fast flowing waters. 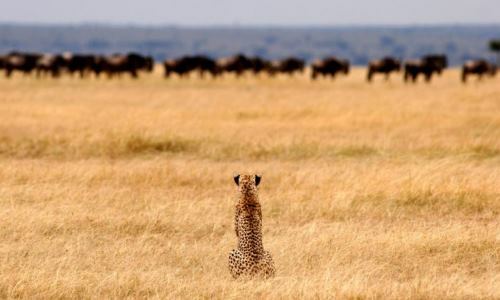 Once they’re across the action doesn’t stop as predators such as lion, leopard, hyena and cheetah are lying in wait. A light aircraft flight gives a spectacular bird’s eye view of the plains, rocky kopjes volcanic landscapes and safari wildlife. 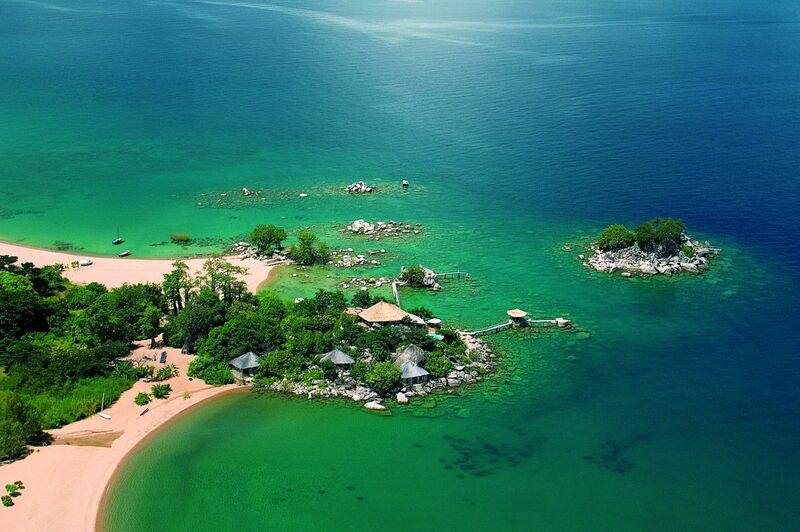 Who knows, you may find yourself looking down on a balloon safari too! 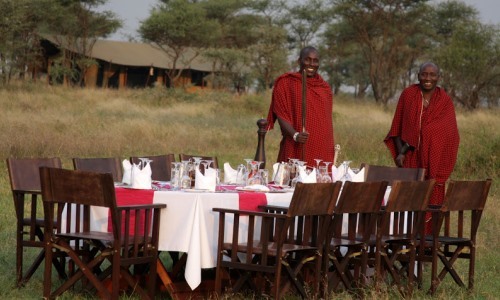 Our tented camps have proper beds, private bathrooms, separate dining areas and excellent service. 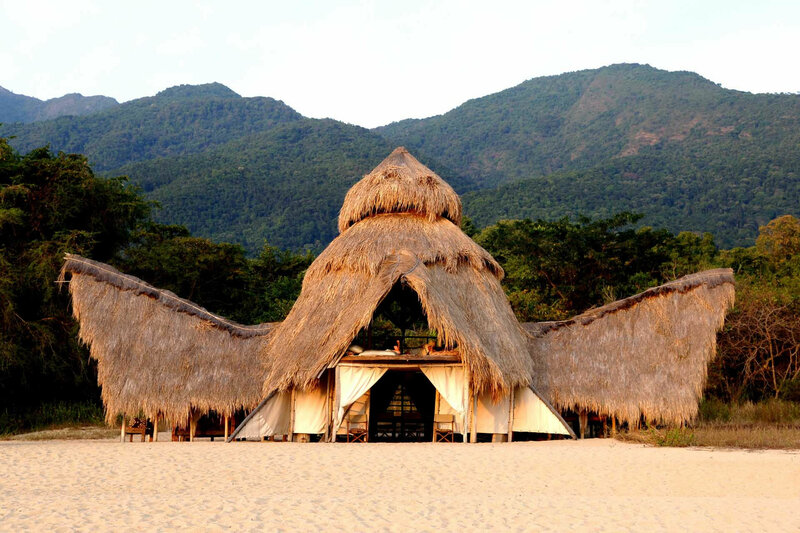 They’re close to the wildlife action, sometimes so close you’ll feel you’re starring in “The Hunt” itself with wildlife free to move through the camps, but with night-watchmen to ensure your safety. I shed a tear the first time I glimpsed the floor of the Ngorongoro Crater – its beauty is overwhelming – and this holiday covers some of East Africa’s finest landscapes: the soda lake at Manyara, the escarpment of the Great Rift Valley, the 10 mile wide caldera of the Ngorongoro Crater with its 600m walls, and the open plains of the Serengeti. 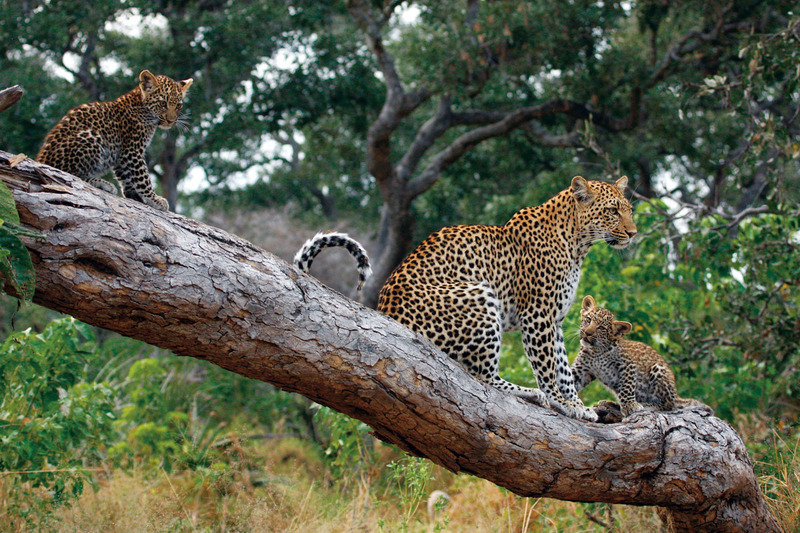 Take enough memory cards for your camera as you’ll want to be making memories throughout this safari. This holiday takes you down the volcano walls for wildlife viewing in the extraordinary Ngorongoro Crater with its prolific wildlife. 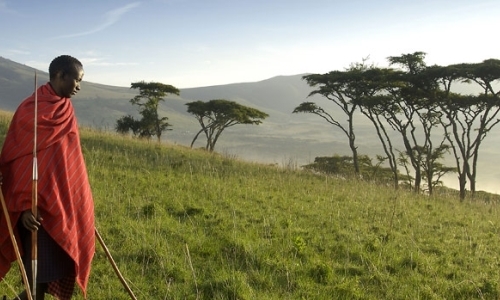 The crater is part of the Ngorongoro Conservation Area, a UNESCO World Heritage site, and home to rhino and elephant alongside predators such as lion, cheetah and occasionally leopard. 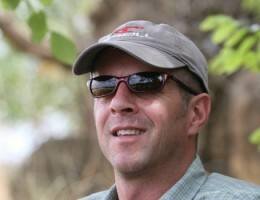 Safari guides make the difference between a good safari and a great safari. 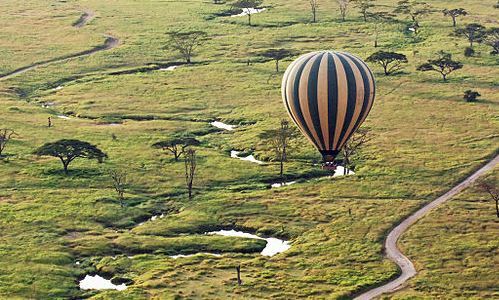 On this holiday you’ll be hosted by an experienced and genial guide from your arrival at Arusha until you step on your light aircraft to leave the Serengeti. 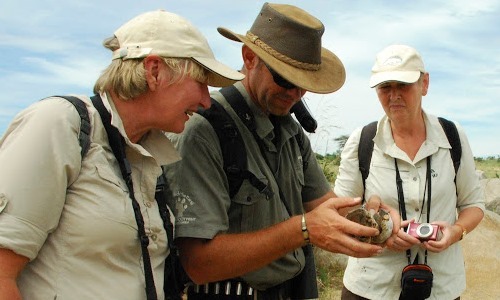 Your guide will be knowledgeable about animal behaviour and bring your safari to life in a similar way to David Attenborough’s narration in “The Hunt”. 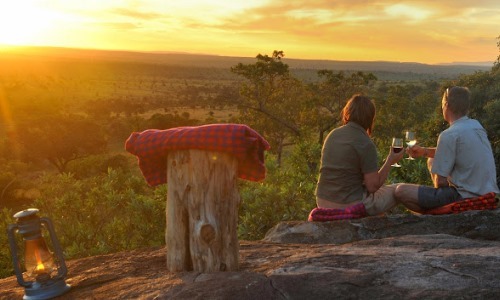 Share your safari holiday with up to five other wildlife enthusiasts on this trip of a maximum of six guests. 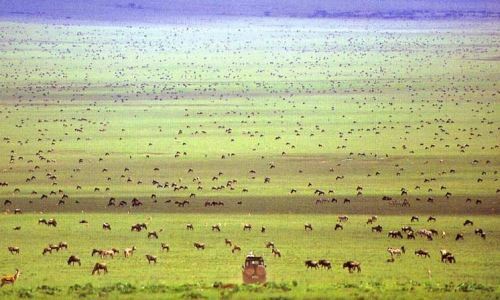 Day 1 – Arrive in Arusha and meet your guide Days 2 and 3 – Safari in Lake Manyara National Park Day 4 – Explore the famous Ngorongoro Crater Days 5 and 6 – Enjoy world class wildlife viewing in the Serengeti National Park Day 7 – Fly back to Arusha The cost of this seven day holiday is £2,940 for November and December 2015 on a shared basis per person. 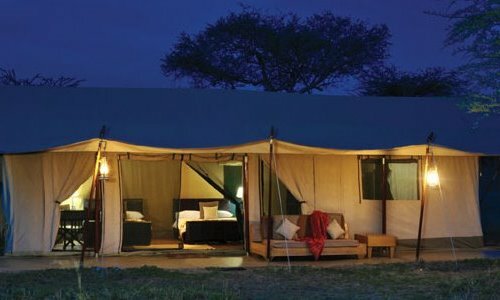 This price includes most meals and drinks, accommodation and safari activities, all national park and conservation fees. International flights to and from Arusha are excluded. For a full itinerary, 2016 prices, supplements for single travellers, or any other questions, please pop us an email or give us a call.